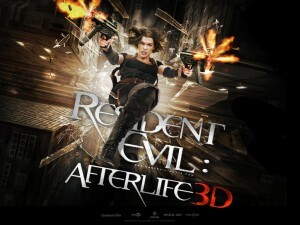 I went to see Resident Evil: Afterlife in 3D with a friend at a theater in the neighbor town. They have recently upgraded to 3D and I was curious to see what technology they had picked. When it comes to modern technology I have seen 3D films with polarized glasses, circular polarized RealD glasses and now XpandD 3D shutter glasses. Normal polarized glasses works like a charm for me, with the only problem that you cannot tilt your head because then the image will go dark. With circular polarization you can tilt your head, but when I saw Avatar with RealD glasses I experienced ghosting, and that made the experience feel low quality and tacky to me. I have been a bit suspicious about shutter glasses as the consumer variant currently is based on 120 hz panels and thus you will get 60 hz for each eye with 50% dark time as the inlet of light alternates. This makes me think of how uncomfortable a CRT screen is in 60 hz. Sure, the dark time will always be 50% with shutter glasses but the flickering might be harder to detect if there were 200 hz panels with 100 hz per eye. That is something I am waiting for anyway! I don’t know at which hertz they ran the frame sync at this time, but I experienced no discomfort so it seems to work just fine :) If it is 60 hz I might survive that. Sure the glasses are a bit heavy but I got used to them very quickly, perhaps as I normally wear glasses all the time. Slow motion: It’s easy on the eye as you can focus on every detail in turn! Rain and particles: Works wonderfully, as they are spaced evenly throughout the 3D space it adds a complete sense of depth. Smoke and fog is also special in 3D. Zoom ins: The scene I especially recall is in the beginning where it zooms from space all the way to the ground, it almost gave me vertigo! Layering: Often there were objects in front of and behind the actors, and the camera would be on a dolly, this made for really nice depth layering. Reaching: When objects stretch from far back in the picture to the front of the screen or moves across the depth of the screen. One example is the armory they enter later in the movie with shelves filled with weapons and also weapons, that looked really nice. Shallow field of depth: In 2D movies you can guide the viewers eyes by moving the focus so unimportant parts of the picture become blurry and the parts you want the viewer to look at are sharp, this gently guides your eyes. In 2D this is really nice but in 3D where you yourself choose where to focus and the blur of depth occurs naturally, it can be awkward, the blurry part of the image can still be focused on which makes the object appear like a ghostly mist. When this happens all of the image becomes blurry and you have no guidance! Instead your eyes get to hunt for something that becomes sharp when focused on, which I think greatly diminishes the authenticity of the 3D effect and pretty much breaks the immersion. It did work where the foreground was unimportant, like passing behind a very out of focus fence, but where the actor was holding guns aimed towards the viewer and the muzzles were blurry, that was really annoying. Especially as my eyes wanted to focus on the guns during the entire scene. Objects moving quickly in depth: I guess this is comparable to following a baseball heading towards your face, and I’m guessing I might just be bad at adjusting my focus quick enough. But relating to real life situations, how often do you get to track very fast objects with your eyes? Reflections: I had not considered this, but I noticed when a reflective area would be bright for one eye and dark for one eye it grabbed my attention. I do realize that this happens in real life too, but I think I noticed it in the movie because of the static camera view. All in all I would recommend the movie for the 3D effects, but perhaps not so much for the story. I did raise a skeptical eyebrow for some of the things that happened and I paid way less attention to the story compared to what I usually do! But then again, it’s a zombie action movie! 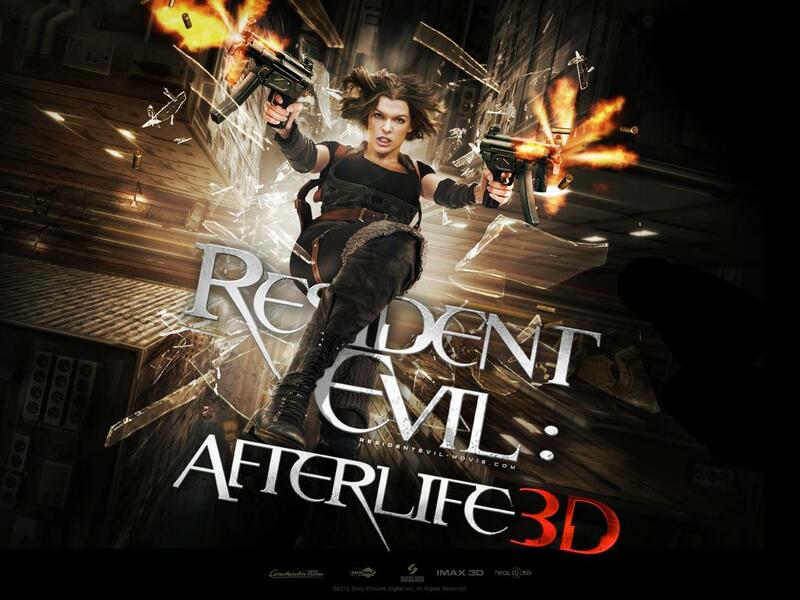 This entry was posted in Uncategorized and tagged Movie, Stereoscopic 3D. Bookmark the permalink.